MainAll NewsInside IsraelMK Glick to block PM's deal with Jewish Home? MK Glick to block PM's deal with Jewish Home? MK Yehuda Glick petitions Likud court over PM's intention to grant 28th slot on Likud list to Jewish Home representative. 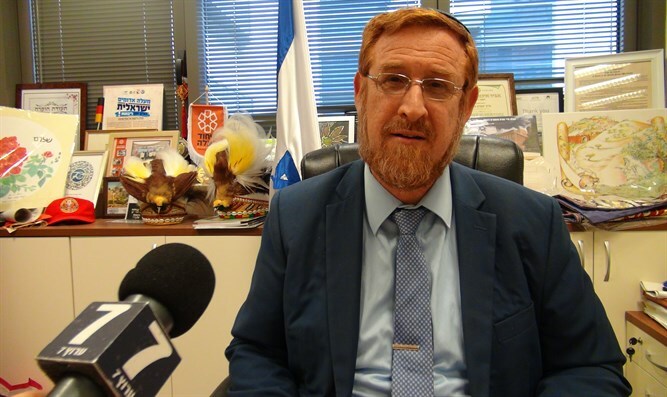 MK Yehuda Glick petitioned the High Court of the Likud party to prevent the prime minister from securing the 28th spot on the Likud list for a representative of the Jewish Home Party. "The Honorable Court is requested to order the cancellation of the placement given to the chairman for the 28th place on the Likud list, or alternatively to clarify that this placement is intended only for members of the Likud and in any case not for those who declare that they are not members of the Likud movement,” Glick worte in a petition submitted by Attorney Simcha Rotman. MK Glick was elected 25th in the primaries for the Likud list, but due to reserved places and the appointment of district representatives he was placed in the 42nd place on the list. It should be recalled that Netanyahu proposed that a representative of the Jewish Home Party be placed in the 28th slot on the Likud list to encourage the Jewish Home to approve the agreement for a joint run with the Otzma Yehudit party. In addition to the placement, Netanyahu has pledged to grant two ministerial positions to the Jewish home in the next coalition to be formed.